Thanks to Minute® Rice for Sponsoring this post. This Blueberry Basil Rice Salad is a quick and easy whole grain lunch or dinner that comes together in minutes! Can you believe it’s already May! I’m always amazed how fast time goes by. We were just celebrating Easter and all things spring and now it’s time to get ready for graduations and Memorial Day barbecues! 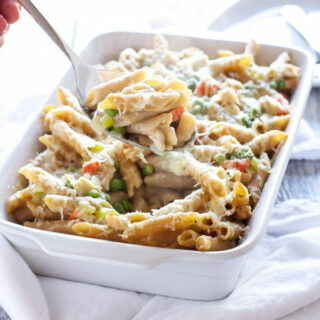 With the school year coming to a close I’m sure many of you are swamped with taking your kids to school and sports functions and that’s not leaving you with a whole lot of time for making meals. 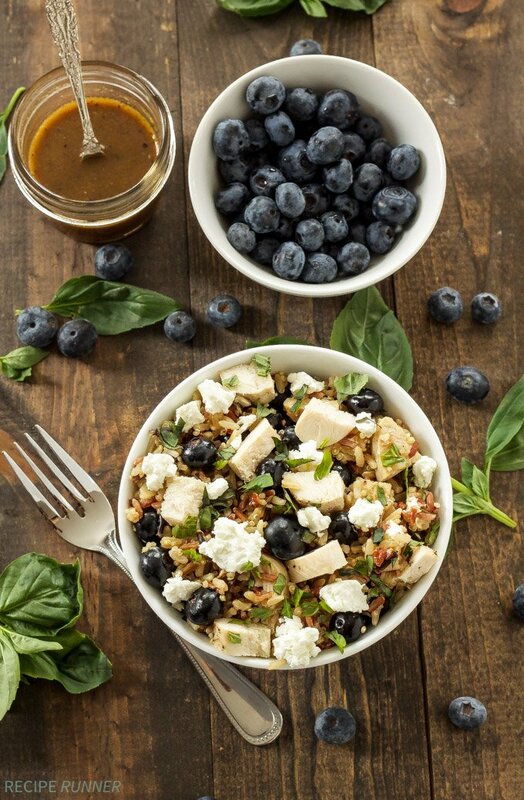 Well, I’m here today to lend you a helping hand with this super easy, nutritious, and you guessed it, DELICIOUS Blueberry Basil Rice Salad! Normally when you think of making a salad with rice in it the amount of time it takes to cook the rice is in the back of your head. White rice isn’t so bad, but brown and any kind of wild rice medley takes the better part of an hour to cook. Luckily there is a fantastic alternative, Minute® Rice! 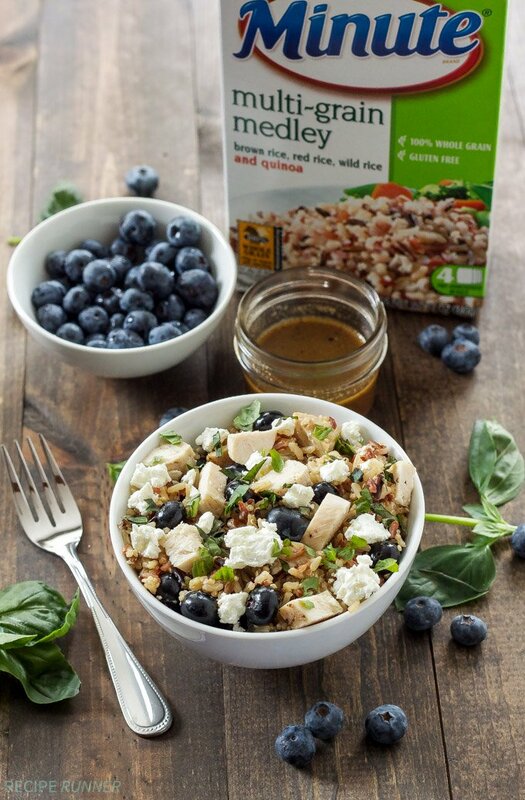 For this Blueberry Basil Rice Salad I chose to use Minute® Rice’s newest product, Minute® Multi-Grain Medley. I loved that it was a gluten free, 100% whole grain blend that included brown, red, wild rice, and quinoa. 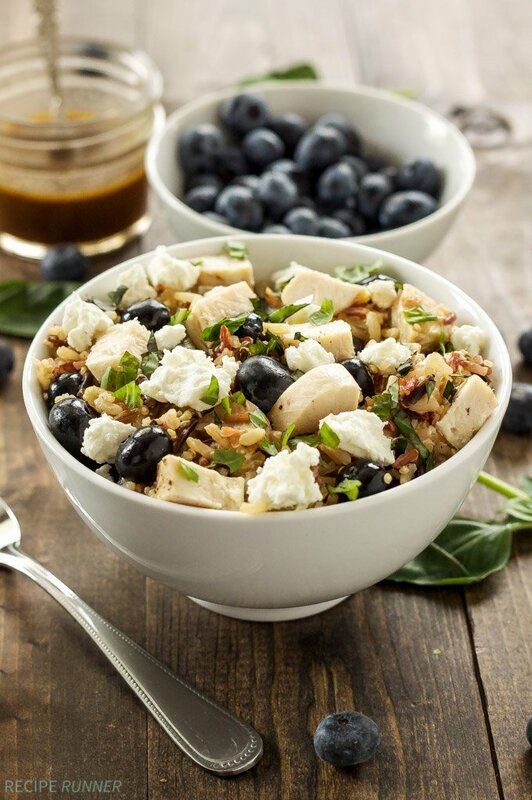 The nutty, grainy texture was perfect in this salad paired with the creamy goat cheese and juicy blueberries. If you’re not a fan of the multi grain version, they also have brown or white rice available. The rice comes in pre-portioned bags which makes prep even easier and the best part about using the Minute® Multi-Grain Medley was that I was able to cook it in the microwave and have it come out perfectly prepared in 10 minutes. 10 minutes just happened to be the exact amount of time I needed to get the rest of the ingredients for the salad ready. The rest of the ingredients really help pull this salad together and make it a hearty meal. I added a bunch of blueberries, crumbled goat cheese, chopped fresh basil, and a leftover chicken breast that I had from dinner the night before. If you’re vegetarian or don’t have any cooked chicken on hand, just omit it, the salad is tasty with or without it! 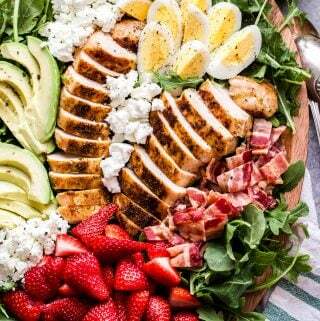 The honey balsamic vinaigrette was the perfect finishing touch. It’s mildly sweet flavor was just what the salad needed with the tangy goat cheese and nutty rice. 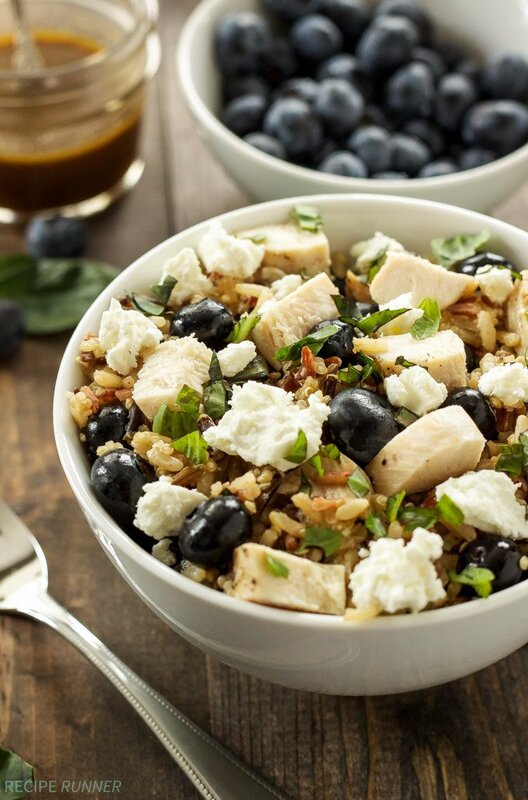 As if getting your hands on the recipe for this delicious Blueberry Basil Rice Salad wasn’t enough, you also have a chance to win a KitchenAid Mixer below! This is shaping up to be a pretty good Wednesday! Cook the Minute Multi-Grain Medley in the microwave according to package instructions. Let the rice cool to room temperature then add in the chicken, blueberries, basil, and goat cheese. In a small bowl or jar, whisk or shake all of the vinaigrette ingredients together until well combined. Pour the desired amount of dressing over the salad then fold everything together with a spoon. This is a sponsored post written by me on behalf of Minute® Rice, as alway all opinions are my own. 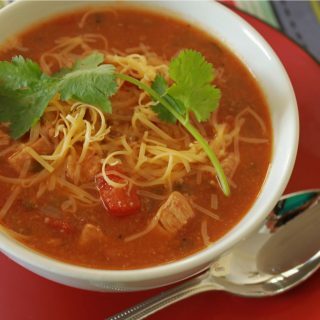 For more recipe ideas and special offers from Minute® Rice sent straight to your inbox, join The Riceipe Club here. I love just plain minute rice. It makes completing a well rounded meal go so quickly! It really is a great time saver!